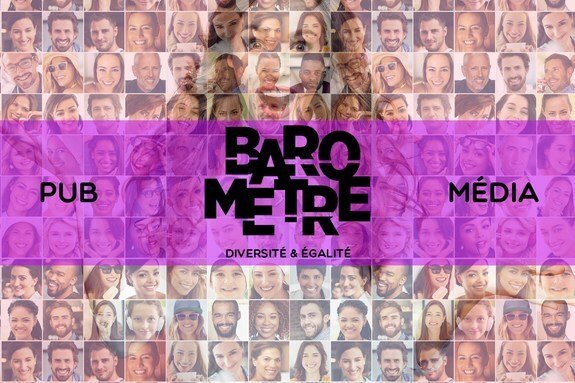 On 24 April 2018, the broadcasting regulator from the French speaking Community of Belgium, the CSA of the Wallonia-Brussels Federation, unveiled the findings of the 2017 edition of its "Barometer on Diversity and Equality". After three editions, carried out between 2011 and 2013, the CSA relaunched a new Diversity and Equality Barometer in 2017. The main objective remains unchanged: to draw up an inventory of equality and diversity in the various TV services active in the Wallonia-Brussels Federation, in the light of gender, origin, age, socio-professional category and disability criteria. The key question underpinning the analysis is: does on screen representation reflect the world around us, and why? In addition to the analysis of diversity in 644 hours of programmes from 23 television channels, the research also includes, for the very first time, a specific study on the participation and representation of women and men in commercial communication. This new part of the research is an illustration of the powers recently entrusted to the CSA. The Coordinated Decree on Audiovisual Media Services of 2016 provides that the CSA carries out a periodic analysis on the balanced representation of women and men in the French-speaking Belgian audiovisual landscape. However, some diversity indicators are stagnating or even regressing: The 2017 Barometer points in particular to a decrease of the representation of ethnic diversity on screen, an under-representation of women, and a taboo on the integration of disability and certain age categories in TV programmes. Spread over 3 days, 2756 commercials and more than 17 hours of content were analysed. From a quantitative point of view, women are slightly under-represented compared to the reality. However, the study highlights significant qualitative differences: in the commercial communication narrative, characters are often assigned a role based on their gender. The most common female stereotypes associate women with youth and beauty, but also with motherhood and domestic tasks. In light of the results of the barometer, the CSA has signalled its willingness to open a debate on whether to introduce more specific objectives with the industry. The CSA also concludes that even if audiovisual media service providers and broadcasting regulators have a key role to play, all stakeholders, such as producers, creators, script-writers, advertising agencies and public institutions, should actively participate in this debate in order to impulse structural changes. Additional EPRA Background: Note that Diversity will feature on EPRA's agenda in 2018 with an annual Working Group on Achieving greater Diversity in Broadcasting.